In dicotyledonous species, the secondary growth leads to an increase in the second moment of area (l) and stem flexural stiffness (El). The reduction of Estr during development can be interpreted as a mechanical strategy that "compensates" for this increase in l and confers relative stem compliance. 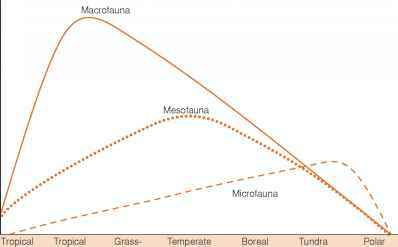 Despite the diversity of attachment modes, all the monocots tested, except for species of the rattan Calamus, show high values of Estrin old stages and otherwise little change in mechanical properties during development. The latter can be explained by the structural constrains inherent to monocotyledons as a result of the absence of secondary growth. By retaining relatively small stem diameters (i.e., a small l) in old stems, the monocots escape this constraint and can, even with a high value of Estr remain compliant in older stems, i.e., have a relatively small El in old developmental stages [20,22]. The tendril-climbing species Smilax aspera also lacks secondary growth and shows an opposite trend to other dicotyledonous tendril climbers, with an increase in structural Young's modulus. Smilax aspera is a relatively lightly built, small-bodied plant rarely exceeding shrub level in its natural habitat (Figure 2.5e), and may therefore not be exposed to high stresses caused by the swaying of the host plants as would be the case for large tendril climbers. The branch-angle climber Ischnosiphon with its pencil-like stem has a peculiar growth form that relies largely on stem stiffness to maintain the plant in position between points at which leaf-bearing nodes catch onto branches of host plants. High stiffness from top to bottom is used throughout the life history of the plant to ensure a weakly attached, partially leaning growth form. A similar strategy is observed in the more diminutive lycopsid Lycopodiella cernua, which has very high values of Estr in near apical portions of their small stems that are only loosely supported by the wide-angled branches [9,23]. This plant also lacks secondary tissues, but the primary tissues toward the base of the stem are more compliant. The developmental and ecological significance of the basal compliancy in Lycopodiella is not clear [9,20,23]. This herbaceous plant is self-supporting with climbing and horizontal or trailing axes. It is possible that the basal compliancy observed may permit the plant to occupy a procumbent orientation by bending at the base if it becomes detached from the surrounding herbs and shrubs. Many formerly upright or leaning individuals end up as procumbent stems. If true, this is an interesting variant of how herbaceous plants might use stem compliancy to avoid damage via mechanical stresses after movement and falling from host supports. The palms tested climb via hook-like organs placed on modified frond tips (cirri) or modified inflorescence stalks (flagellae) that emerge from the leaf sheath. Two species of the South American genus Desmoncus show an actual increase in EstI toward the base of the plant . In the larger species, D. orthacanthos, old stages have shed the outer leaf sheath and resemble canes. This stage of development does nevertheless show relatively high values of Estr With the exception of the two tested Calamus species, the other climbing palms in the Calamoideae, P. himalayana (Plectocominae)  also show high values of Estr in old stages. This is consistent with the idea that hook climbers that are not firmly bound to host supports do not need to develop high compliancy to survive movement of host branches. Instead, the relatively high stiffness of the stem ensures that the stems can retain their orientation in the surrounding vegetation when movement of the host branches moves or detaches any hooks and grapnels from their points of attachment. Rattans are wonderful examples of how monocots can escape the structural constraints to develop a comparable mechanical architecture as dicotyledonous lianas. Species of Calamus can show a decrease in Estr toward the base, a trend typical of many dicotyledonous lianas. However, the values of old stages of Calamus measured are in the range of the highest values of old stages of dicotyledonous twiners but do not approach the highly compliant properties of many other twiners. Finally, future studies should incorporate studies based on hydraulic and mechanical properties of the stem. Many climbers show a reduction in structural Young's modulus during ontogeny, and this might be consistent with a relative increase in large-diameter vessels and increased hydraulic conductivity at the expense of relatively stiff tissues in the wood. The developmental and ecological trade-offs between mechanical functioning (stem stiffness and support) and hydraulic conductivity are complex . While increased vessel diameter might influence stem stiffness in some climbers, many dicotyledonous climbers show relative increases in other compliant tissues during ontogeny such as rays and development of thinner-walled wood fibers. Such tissues are more easily interpreted as structural modifications that increase compliancy, resistance to fracture, and stem repair in vines and lianas.